The life of Nicolas Chédeville (1705-1782) covers exactly the golden age of the hurdy-gurdy and the musette, the French baroque bagpipe. His time witnessed an ‘art of living’ that revelled playfully in the idealization of nature as a mirror of ancient Arcady, and his works contributed to the soundscape of his time, one that portrayed this idyllic milieu in operatic dramas whose heroes were constantly questing for the past … In 1739 he published Les Saisons amusantes, concertos by Antonio Vivaldi arranged for bagpipes and hurdy-gurdies. These transcriptions of concertos from Cimento dell armonia e dell’inventione include arrangements for the hurdy-gurdy of three concertos from the Four Seasons (Spring, Autumn, and Winter). 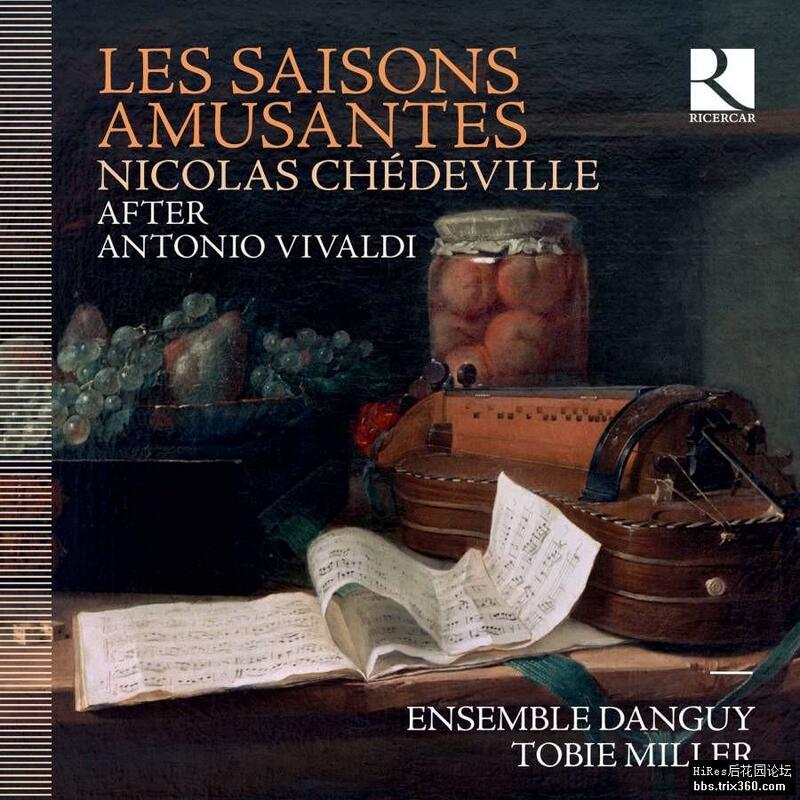 The same year Chédeville made further bucolic arrangements of another three Vivaldi concertos from the same set, calling them Les Plaisirs de l’Été, La Moisson, and Les Plaisirs de la Saint-Martin (a version of Vivaldi’s Il Piacere). Tobie Miller, a star virtuoso of the hurdy-gurdy whose first recording for Ricercar (La Belle Vielleuse, RIC 382) was heaped with critical praise, tackles this repertoire with infectious spontaneity.